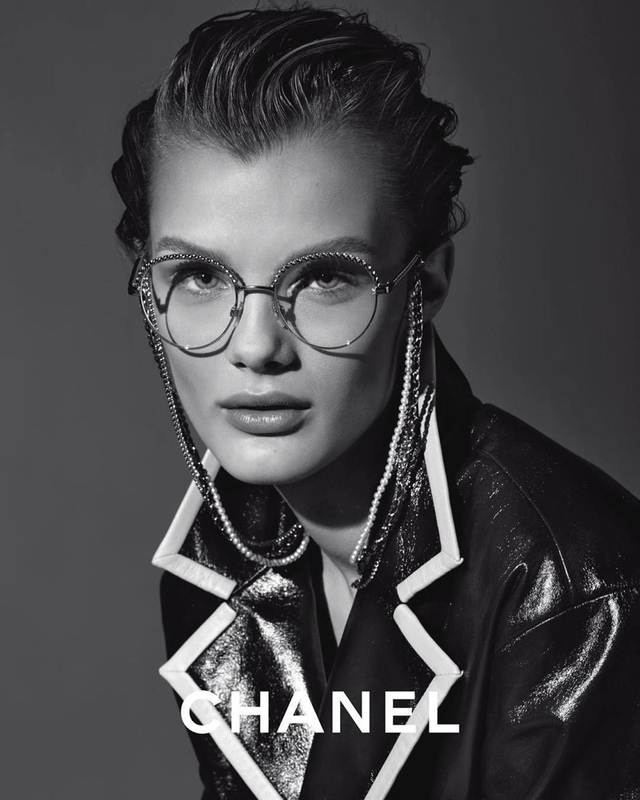 High-end French fashion house Chanel released its Eyewear Campaign for the Spring/Summer 2019 season, following up with its ready-to-wear campaign. Keeping the late Karl Lagerfeld's legacy alive, who had also photographed this campaign, the collection focuses on fashion forward Chanel eyewear with classic details. 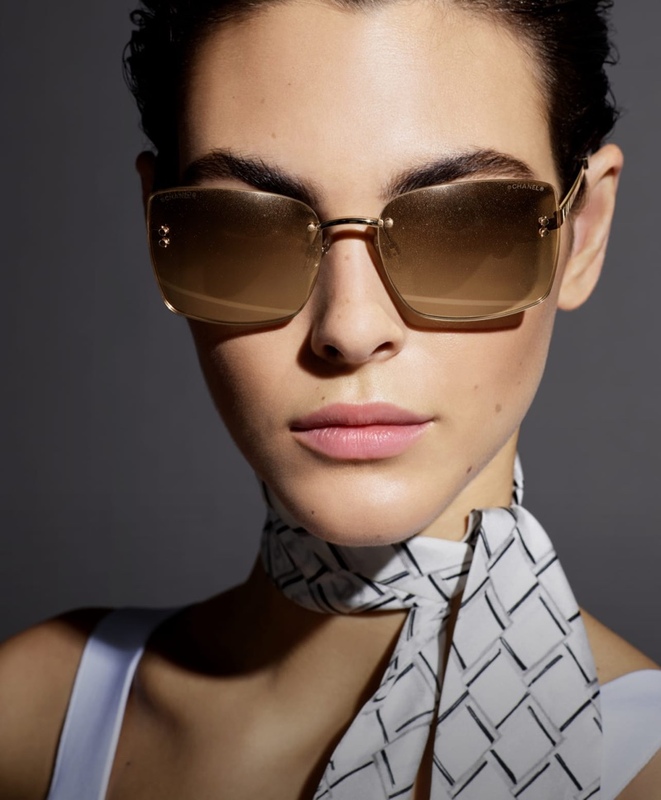 Starring models Vittoria Ceretti and Kris Grikaite in studio images, the campaign is styled by Carine Roitfeld, and showcases an array of gorgeous eyewear with chic details including pearl strands and gold accents. The models are clad in the Chanel finest including denim outerwear, fingerless gloves and scarves tied around the neck, and have on makeup by Lucia Pica with hair by Sam McKnight.